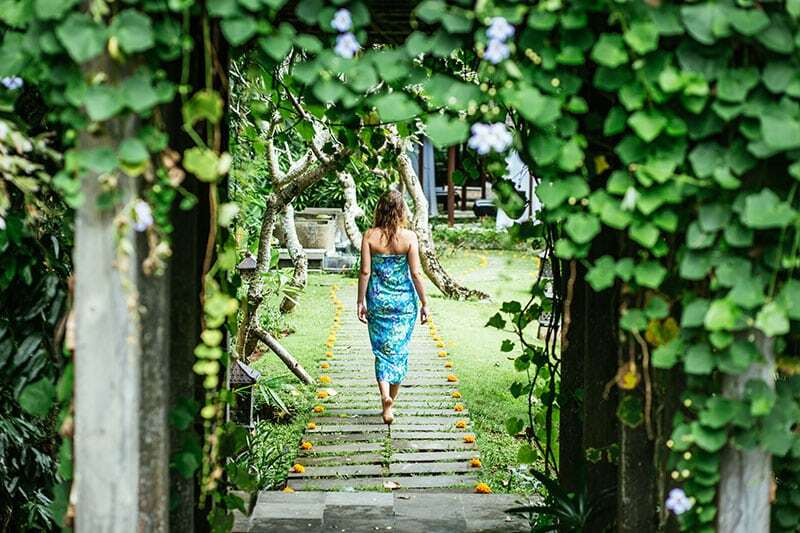 Prepare for a week of deep transformation, blissful pampering, and the astounding benefits that go hand in hand with our luxury Ayurveda healing retreat. A week experiencing our healing retreat package will leave your mind, body and soul feeling energised and light. This curated week has been designed with your wellbeing in mind. You receive daily pampering and special healing sessions during the week as you explore the world of Ayurveda and Balinese healing. Experience just how good your body is designed to feel! One week in our expert care at our award-winning healing retreat, will leave you glowing and radiating with new-found vitality. Translated from Sanskrit, Ayurveda means ‘The science of life’ and it exists as a body of wisdom designed to heal people on a deep level and prevent illness and disease. Ayurveda is over 5000 years old, and the focus of Ayurveda is to balance body, mind and spirit. 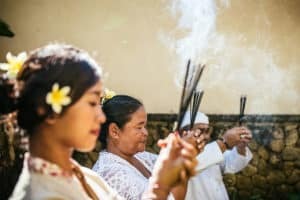 It includes disciplines such as massage, meditation, yoga, diet, herbal medicine, nourishing oils and unique healing treatments that marry science and nature in perfect union. Ayurveda is well known for assisting with weight loss and detoxification, fertility and hormone balancing, anti-stress and deep relaxation, immune function, anti-aging and longevity. To read more about the benefits of Ayurveda, visit our recent blog post here. How will you feel at the end of retreat? Glowing, shining, luminous skin, hair and eyes are an added bonus! The Ayurvedic Healing Package includes your choice of 4 Ayurvedic treatments and 1 Ayurveda consultation. If the Ayurveda consultation is not available during your stay, one additional treatment will be added, giving you 5 treatments in total. Unlimited spa treatment – choose from over 20 treatments! *new additions to Ayurveda package are valid for bookings made after March 19th 2019. Daily spa treatment – choose from over 20 treatments! 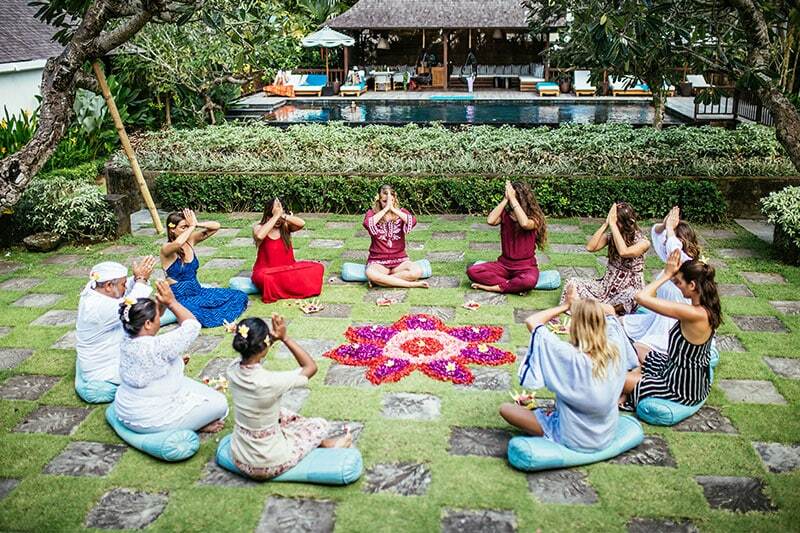 At Escape Haven Retreats we’re proud of the amazing value we deliver to women when they choose our signature Bali retreats. Whilst our main focus is to create a retreat that is luxurious and thoughtful in every detail, we understand that pricing is also an important consideration for you when choosing where to stay. 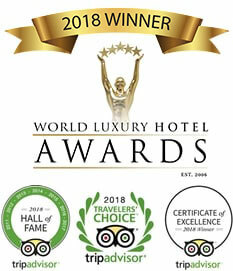 Speak to our friendly staff about our price match guarantee to assist in your decision making – we’re always happy to discuss how to make your retreat with us a truly unforgettable experience!